Lady Katherine Grey was the great-granddaughter of Henry VII through his daughter, Mary, the French Queen who, following her widowhood had married Charles Brandon, Duke of Suffolk in a match that caused some scandal. The French Queen’s eldest daughter, Frances, married Henry Grey, Marquess of Dorset. 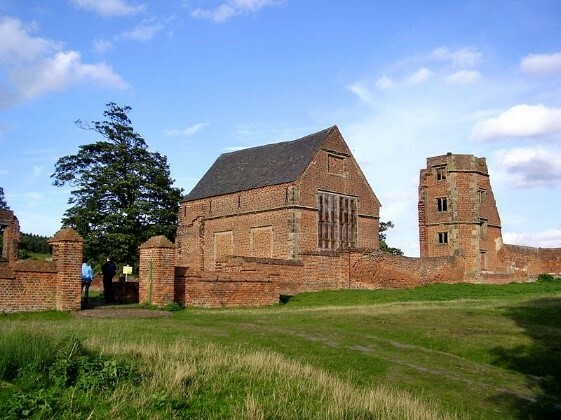 Born in 1540, Katherine’s childhood was spent between the Grey country home of Bradgate in Leicestershire, and the court. Katherine’s parents, particularly her father, were strong adherents of the Reformed faith, and together with her sisters, Jane and Mary, Katherine was brought up in it. The sisters also received a first-class education, including the academic curriculum fashionable for well-born women in the first half of the sixteenth century. Katherine, although she studied Latin and Greek, does not appear to have had the intellectual bent of her older sister, Jane. In January 1547, Katherine was named as a potential heir to the throne, in the will of her great-uncle, Henry VIII. On the King’s death she became fourth-in-line. Such a valuable position was attractive to the various nobles surrounding the new king, who, as a minor, would not marry and beget his own heirs for some time. 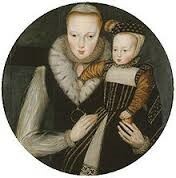 In May 1553, she was married to Henry Herbert, son of William Herbert, 1st Earl of Pembroke. The marriage was one of three that took place within a few days of each other. Lady Jane Grey was married to Lord Guilford Dudley, son of the Duke of Northumberland, who was the leading power at the court of the King, and Lord Guilford’s sister, another Katherine, was married to Henry Hastings, son of the Earl of Hastings, a young man with a distant claim to the throne. Katherine, although only 12, went to live with her in-laws at their London property, Baynard’s Castle. Despite the fondness that grew up between Katherine and Henry, it is unlikely, due to her age and an unspecified, although transient, illness Henry suffered that summer, that they consummated their marriage. Whether the marriages were just the normal transactions between nobles, or whether, as is frequently charged, they had a more sinister aspect cannot be proven. Nevertheless, within two months, Katherine’s sister had been proclaimed Queen of England on the untimely demise of King Edward. Within days however, Jane had been overthrown by the woman most of England saw as the legitimate heir, Mary, daughter of Henry VIII. Katherine’s father-in-law, although he had been implicated in the coup, speedily extricated himself from it and had her marriage to his son annulled. Jane remained in the Tower of London, but Katherine’s parents, the Duke and Duchess of Suffolk, managed to obtain Queen Mary’s pardon, perhaps capitalising on the close relationship the Duchess, as the Queen’s cousin, had had with Mary in the past. Early the following year, the Duke of Suffolk became embroiled in another plot against the Queen, and this time both he and Katherine’s sister, Jane, were executed. Katherine received a parting gift from Lady Jane of the latter’s Greek Testament, with a heartfelt letter, exhorting Katherine to cling to her Reformed faith, and trust in God. Katherine and her mother again succeeded in being reconciled with the Queen, who appointed Katherine to her Privy Chamber. Once at court, although Katherine initially hoped for her marriage to Herbert to be reinstated, she soon met and fell in love with Edward Seymour, cousin of the late King Edward on his maternal side, and son of the late Lord Protector Somerset. Whilst the Duchess of Suffolk was in favour of the match, Seymour’s mother, the Duchess of Somerset, was more circumspect. Before any agreement could be reached, or the Queen’s permission sought, Queen Mary died. Katherine was then, according to the will of Henry VIII, heir to the throne. At no time did the new queen, Elizabeth I, ever wish to acknowledge any heirs, and in fact, her personal preference was for Mary, Queen of Scots. She demoted Katherine, whom she apparently disliked, from the Privy Chamber. Katherine, offended, told the Spanish Ambassador that she would not change her faith from the Catholicism she had accepted under Mary, and would ask his advice on her marriage. It is most unlikely, however that Katherine kept her word on either point! During the summer of 1559, she again spent time with Seymour, now restored to the Earldom of Hertford, and with the assistance of his sister Jane, the two were first betrothed, and then secretly married in late December of 1560. Before the Queen found out about this clandestine arrangement, Hertford was sent abroad. He went after assuring Katherine he would return if she were pregnant (which she suspected might be the case). He also drew up a will to provide for her in the event of his death. Katherine was pregnant, and desperate for help, threw herself on the mercy of Lord Robert Dudley, once her sister Jane’s brother-in-law, and the Queen’s favourite. Dudley told the Queen, who was furious. Katherine was sent to the Tower, and Hertford summoned home peremptorily to join her there. A son was born in the Tower on 21st September 1561 and named Edward. The couple were left in the Tower whilst Elizabeth considered their future and an ecclesiastical commission was set up in January 1562 to examine the validity of their union. Not surprisingly, in view of Elizabeth’s wrath, the commission found the marriage to be invalid, although their legal grounds were shaky. Pity for the young couple led their gaolers to facilitate a couple of meetings, which resulted in Katherine falling pregnant again. Elizabeth, even more furious than before, had Hertford hauled before the Star Chamber to answer for his sins and he was fined £15,000 on three charges, including ‘deflowering a virgin of the royal blood’. The basis of the case against Katherine and Hertford was the Act of Succession of 1536 which had made it a crime to marry a member of the royal family without the sovereign’s consent. A second son was born to Katherine, whilst she was still in the Tower, but, during 1563, she was released to house arrest in the custody of her uncle, Lord John Grey. She was permitted to take her younger son, Thomas, with her, but her older son, together with Hertford, were sent to the house of her mother-in-law, Anne, Duchess of Somerset. Over the next four and a half years, Katherine, Hertford and her family pleaded for mercy, but to no avail. Elizabeth remained adamant. Katherine lived under house arrest in a succession of country houses in Essex and Suffolk, in declining health and spirits. 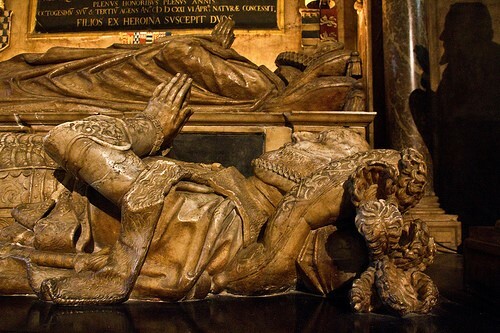 In January 1568, Katherine, worn out with sorrow and grief, died, aged 28. Diagnoses have varied from tuberculosis to anorexia. She was initially buried at Elizabeth’s expense, in the Parish Church near Cockfield Hall where she had spent the last year of her life. In 1621 her grandson, William Seymour, later Duke of Somerset, arranged a reburial at Salisbury Cathedral, next to Hertford. Following Katherine’s death, Hertford was slowly integrated back into public life. He outlived his wife by nearly 50 years, and made two more clandestine marriages – obviously he had a taste for intrigue! 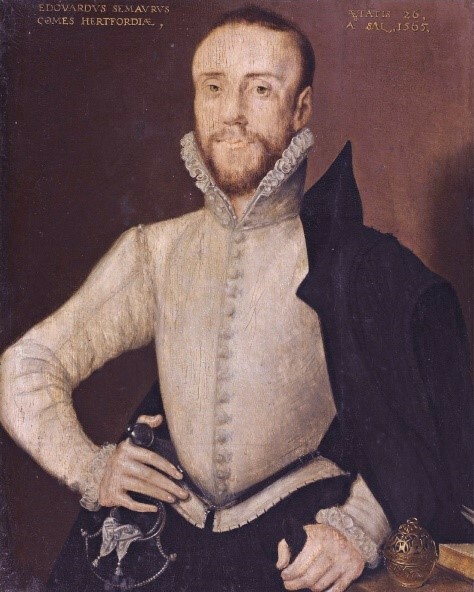 Their sons lived quiet lives, but their grandson, William Seymour, whilst still Earl of Hertford made another match that attracted royal disapproval when he secretly married Lady Arbella Stuart, a claimant to the throne. Leanda de Lisle, author of The Sisters who would be Queen and Tudor: the Family Story, spoke at the Ryedale Book Festival in October 2017, on Mary, Katherine and Lady Jane Grey: Heirs to the last Tudor.